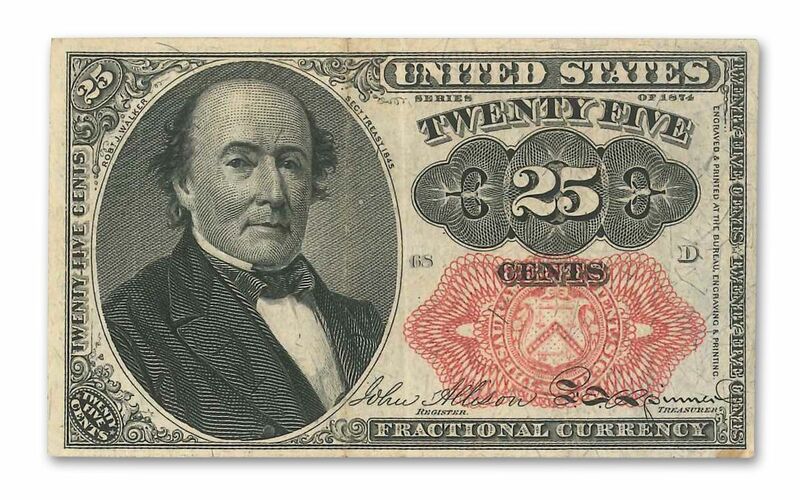 A 25-Cent U.S. Note? Believe It! Tell a child that you used to see two-dollar bills in circulation, and they won’t believe you. Tell them that a quarter used to be a piece of paper, and they’ll look at you as if a monkey were crawling out of your shirt and defensively back out of the room. That is, unless you have one of these to show them! 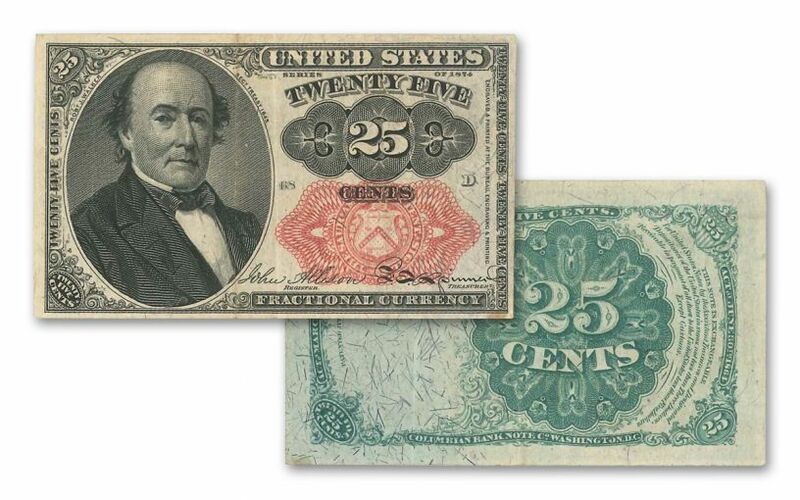 Issued during the Civil War, these 25 Cent Fractional Currency Notes stood in for the circulation coinage that had stopped circulating. Folks were too afraid of losing their wealth, and instead hoarded their coins! 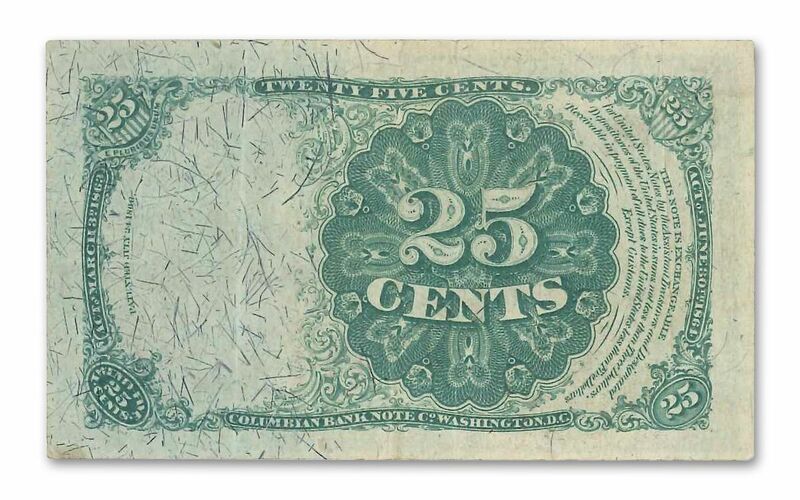 Known as “shinplasters,” these notes continued to be issued until 1876! To differentiate them for postage stamps – which were accepted as currency at that time as well – the Federal government issued them with more colorful printing on both the front and back of the notes. And, while these denominations seem ridiculously small for a bank note, remember that 25 cents in 1860 is worth about seven dollars today! Secure one of these fascinating bank notes today. Each was issued from 1874-1876 (date our choice) and is in Very Fine condition with beautiful designs. Just don’t try to make change with them!